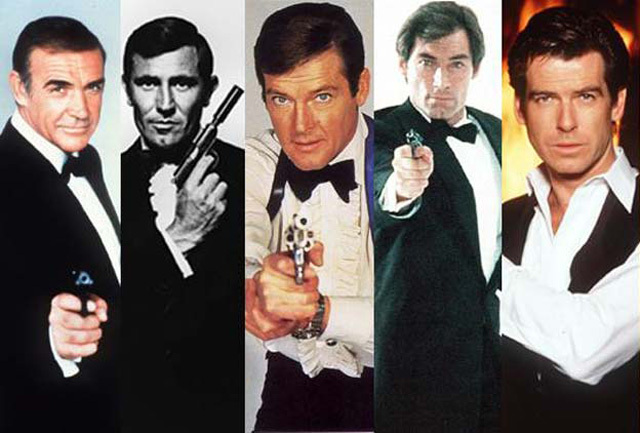 The Expenda-Bonds? | Warped Factor - Words in the Key of Geek. File this one under crazy idea of the day. Sir Roger Moore has made the extraordinary revelation that plans are afoot to bring all the old official James Bond actors together for a movie similar in style to The Expendables. In an interview with British tabloid paper The Sun, the 87 year old actor claims that producers are hoping to feature him, George Lazenby (75), Timothy Dalton (71) and Pierce Brosnan (62) in the feature film, but at the same time he admitted that Sean Connery (85) isn’t interested. Although my initial thoughts were that an ExpendaBond style movie would be quite awesome, I'm guessing that without Connery the project may struggle to get off the ground. And he's unlikely to chage his mind having been in retirement since 2003. Plus, the age thing may be a big issue. Sylvester Stallone's group of Expendables are all at least a decade younger than the majority of the ex-Bond actors. Only Pierce Brosnan, and Timothy Dalton at a push, would realistically be able to carry off any action scenes. All the same it would be amazing to see them together. Would you watch The ExpendaBonds?